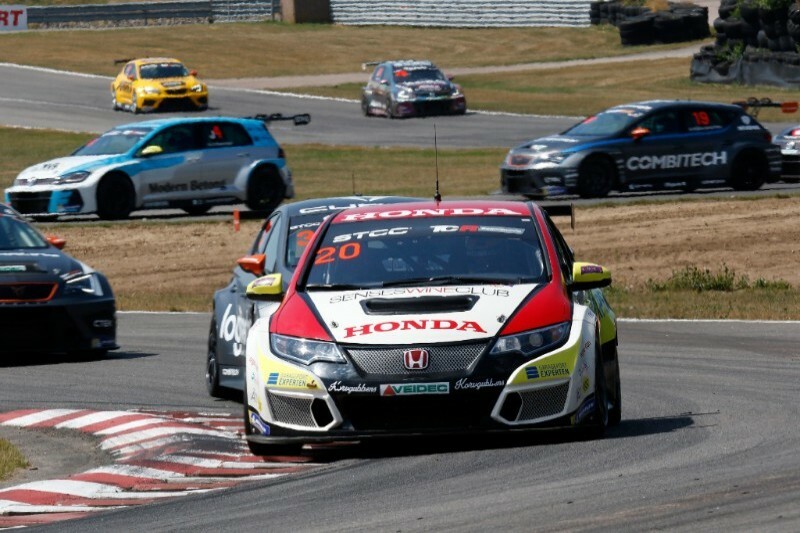 Mattias Andersson claimed the first Scandinavian Touring Car Championship victory for the JAS Motorsport-built Honda Civic Type R TCR with a determined performance at Falkenberg last Sunday. The Honda Racing Sweden driver started the second race of the weekend from third place and resisted intense pressure for the duration of the 21-lap race to claim the win for the MA:GP-run Honda Racing Sweden team. Andersson was the second-highest-scoring driver of the weekend and climbed to eighth in the Drivers’ Championship as a result. His success means the Civic Type R TRC has now won in nine different major championships in 2018. 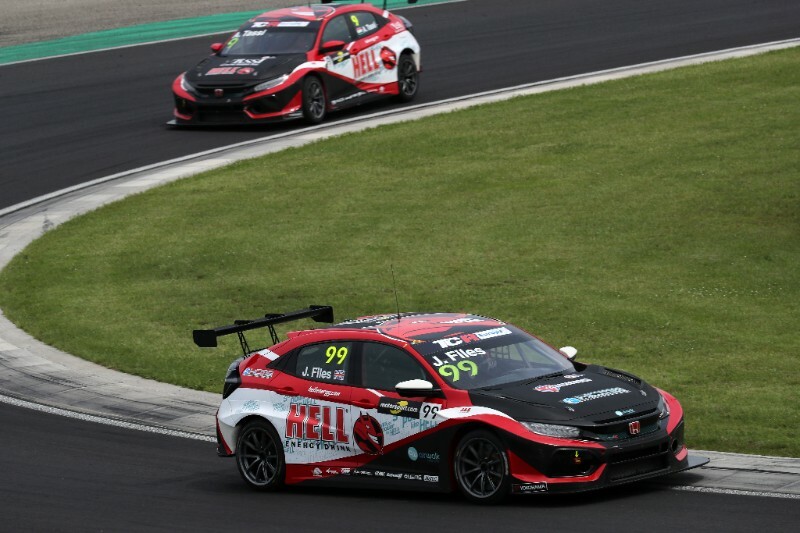 After qualifying a season’s-best second and third in damp conditions, HELL ENERGY Racing with KCMG drivers Attila Tassi and Josh Files looked set for a strong opener at the Hungaroring as they aimed to re-assert their TCR Europe title credentials. Sadly, Files retired from the lead when a rival driver turned in on him while attempting to pass and broke the British racer’s left-front wheel. Tassi was later on-course for second place when another driver fired him off into the gravel – for which his assailant was penalised 30-seconds post-race. The pair made up for lost ground on Sunday with third and fourth places to keep themselves fourth and sixth in the title race and put KCMG fourth in the Teams’ competition. Jens Moller drove a storming opener to finish a season’s-best sixth for Reno Racing while Stefano Comini twice finished eighth from 22nd on the grid; the Swiss punted off the track on the final lap of Race One while attempting a move for third. Comini’s team-mate Loris Cencetti took a best finish of 11th while Viktor Davidovski was a career-best 13th for PSS Racing Team in Race One. 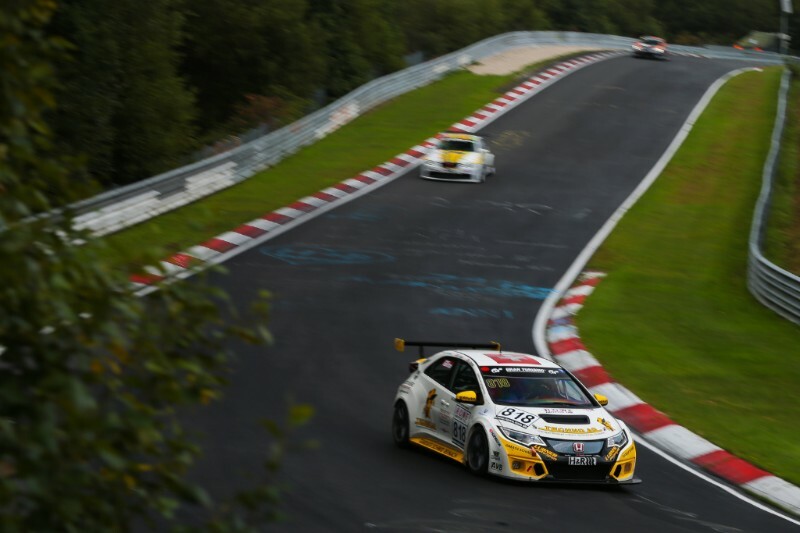 The Nurburgring-based VLN endurance series provided the Lubner Motorsport team with an opportunity to add to the rostrum they’d achieved last time out. 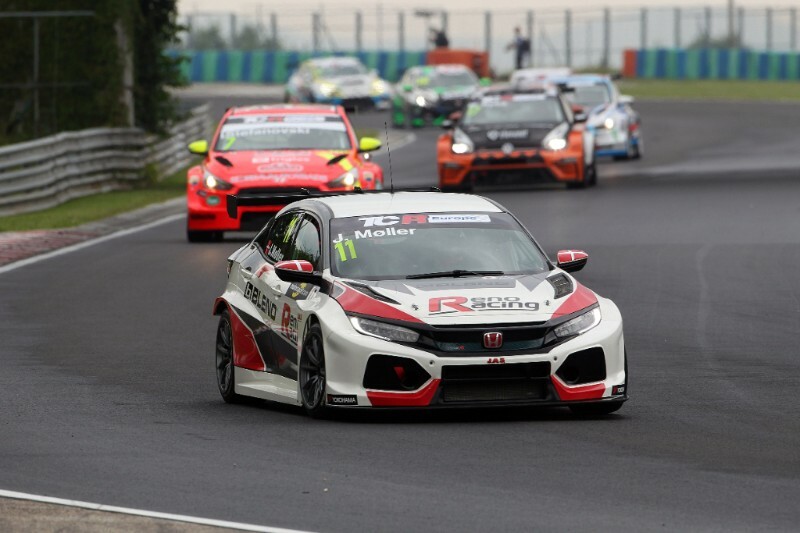 The trio of Frederic Yerly, Roland Schmid and Roger Vogeli qualified their Civic Type R TCR fifth in the TCR category and drove a solid race to finish third and claim a second straight podium finish. Main: Mattias Andersson, Honda Racing Sweden, Honda Civic Type R TCR, Scandinavian Touring Car Championship, Falkenberg, Sweden; Lower: (Row 1 L) Mattias Andersson, Honda Racing Sweden, Honda Civic Type R TCR, Scandinavian Touring Car Championship, Falkenberg, Sweden; (R) Josh Files leads Attila Tassi, HELL ENERGY Racing with KCMG Honda Civic Type R TCR, TCR Europe, Hungaroring, Hungary; (Row 2 L) Jens Moller, Reno Racing Honda Civic Type R TCR, TCR Europe, Hugaroring, Hungary; (R) Roger Vogeli/Roland Schmid/Frederic Yerly, Lubner Motorsport Honda Civic Type R TCR, VLN, Nurburgring, Germany.